With the Introduction of the CPI SL2000, hydraulic system designers now have a harsh duty linear position sensor option that is unique in the industry. The SL2000 combines two proven technologies into a sensor mechanism that is subsea qualified and fully intrinsic safety rated. Our advanced harsh duty draw wire sensor works together with a short rod magnetostrictive transducer to provide a solution to long stroke, harsh duty hydraulic cylinder piston position measurement that is better in every way than the sum of its parts. Designed especially for the needs of the Oil & Gas Industry, the CPI sensor provides one uniform solution to position measurement both on the drilling platform and at the well head. 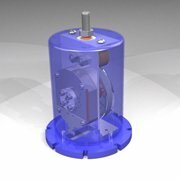 Systems such as Blow-Out Preventers, or Heave Compensation Systems that use hydraulic cylinders or accumulators will find the CPI SL2000 the perfect solution to reliability and durability concerns both above and below the surface. Magnetostrictive core sensors are available in intrinsically safe, as well as explosion proof variations, with various ATEX, SIL, and IECEX ratings for virtually any hazardous environment. 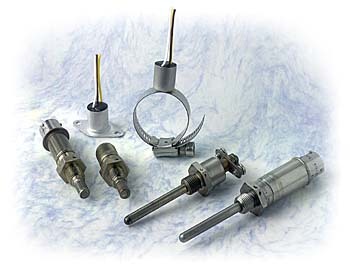 CPI engineers a complete line of hydraulic cylinder linear position sensors all designed for reliable, continuous operation in hydraulic systems, as well as harsh duty environments offering immunity to extreme temperatures, high vibration, salt water, salt spray, and submersion in sea water at extreme depths. These are environments where draw wire sensors have never been successfully deployed. In the case of hydraulic cylinder and accumulator position sensing applications, CPI linear position sensors represent a welcome alternative to long, rod-type sensors, particularly in accumulators and long stroke applications. 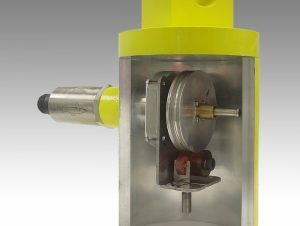 Monitoring absolute piston position in hydraulic accumulators has been a nightmare for designers, as traditional rod-type solutions require an additional dynamic seal around the probe (through the center of the piston). Fabrication challenges, additional seal leaks, and sagging probes in long-stroke applications are among the pitfalls of this approach. 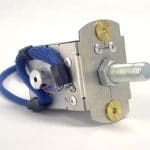 The CPI draw wire sensor overcomes all of these issues, offering internal mount as well as external mount configurations which minimize impact on accumulator design. CPI Sensors represent the only internal sensor technology in the world suitable for telescoping cylinders. We offer various installation options, including completely internal units suitable for dual-clevis designs. And, with the integration of magnetostrictive core sensors, all hazardous environment capabilities are at your disposal. Technology: Non-Contacting LVDT based. Technology: Non-Contacting LVDT based. Technology: Non-Contacting LVDT based. 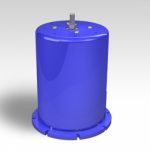 Additionally CPI makes a line of linear position sensors designed to drop in replace magnetostrictive sensors in any hydraulic cylinder application. 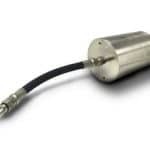 Read about our Magnetostrictive position sensor replacement series here. The CPI SL2000 (Pictured without internal protective housing) can support stroke lengths of 15M and survive the harshest underwater environments. CPI sensors are a subset of a class of sensors historically referred to as draw-wire or “string-pot” sensors, designs that many design engineers are familiar with. However, that is where the historical similarity ends. In CPI’s completely new approach to this sensor class, there is no string and there is no pot! Instead the inherent stability and simplicity of this proven class of sensors is improved from head to toe through material science engineering with a patented linear to rotary to linear mechanism at its core. 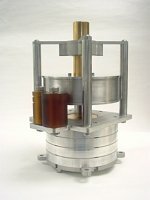 By teaming this precise translating spool system with either a short rod magnetostrictive sensor or a Linear Variable Differential Transformer (LVDT), we achieve a 100% non-contacting, highly accurate sensor that outlasts and outperforms all other draw wire and hydraulic sensor technologies in this application space. The advanced design of the CPI SL series sensor is also a highly accurate solution and versatile solution with numerous advantages over other technologies for long stroke, harsh duty deployment. 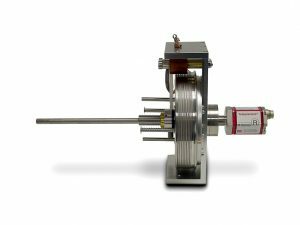 Non-Contacting Transducer Technology– Our sensor technology employs a unique linear-to-rotary-to-linear measurement system which allows either a short rod magnetostrictive sensor or an LVDT to generate absolute position signals accurate to 1mm over a 3 meter stroke length. Standard signal conditioning outputs such as CAN Bus, Analog, and Digital. Our normal operating temperature range is from -40 F to 250F. This is 1.5 to 2x the operating temperature range of traditional draw wire sensors. Standard models support Long Stroke Position Sensor requirements up to 23 feet as a drop in replacement for broken rod type sensors, longer stroke lengths are available customized for your application. CPI sensors are the only linear position sensors suitable for telescoping hydraulic cylinders. The technology delivers absolute position signals and requires no homing on startup. Our LVDT based Linear Position Sensors find applications everywhere from the high temperature environment of a steel mill cauldron control, to the corrosive undersea world of oil exploration; not to mention everywhere in between where harsh environments and maximum durability and reliability are a concern. 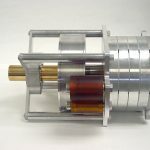 Charge Sensing in Hydraulic Accumulators – Sensing charge pressing in hydraulic accumulators is a challenge for other sensor types that invade the cylinder and require seals that wear out over time. CPI Linear Position Sensors can be easily deployed on the oil side or gas side of the piston accumulator; no dynamic seal or sensor rod tube required! 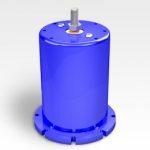 Smart Hydraulic Cylinders – So called “smart cylinders” encapsulate their position sensing solutions inside the cylinder. Sensors are completely protected, however significant integration challenges are the trade off. CPI sensors are well suited to these designs allowing for easy internal integration. Alternatively, remote location of the spooling and signal conditioning electronics is possible, virtually eliminating cylinder design mods. Telescoping Hydraulic Cylinders – CPI is the only linear position sensor that can be installed within telescoping cylinders and one of even fewer such sensors that can make a claim to extreme durability and performance in the tough conditions these cylinders usually find themselves in. Subsea Hydraulics – Our SL1500 series sensors are a first choice for serious subsea applications due to their ability to be completely submersed up to 5000 ft in almost any kind of liquid. Long Stroke Hydraulic Cylinders – For large, powerful, long stroke cylinders, rod-type sensors become increasingly problematic. The CPI 1500 is a robust draw wire design able to accurately sense to 3mm over a 15 meter stroke length. A single part number will cover all stroke lengths within the sensor capability. For 15 years now, CPI linear position sensor technology has marketed and improved its harsh duty draw wire sensor technology into hundreds of applications around the world as robust and cost effective solution. Our sensors have been deployed on Navy vehicles, Oil platforms, as valve position feedback, and on huge heavy duty construction vehicles used in mining, and drilling operations. We’re in the oil exploration industry, the construction industry, the mining industry, and the power industry to name a few. Anywhere that uses big hydraulics, in challenging conditions. Contact Our Engineering Sales Team for More Information at (973) 887-9400. The CPI SL2000 is the first linear position sensor of its type in the world, capable of subsea operation in any hydraulic cylinder or accumulator greater than 8 inches in diameter. The Sensor is also ATEX, and IEC-EX intrinsic safety rated and supports stroke lengths up to 15 meters. Where a rod-type magnetostrictive sensor fails, this product is a drop-in replacement. A single part number covers all stroke lengths up to 120”. 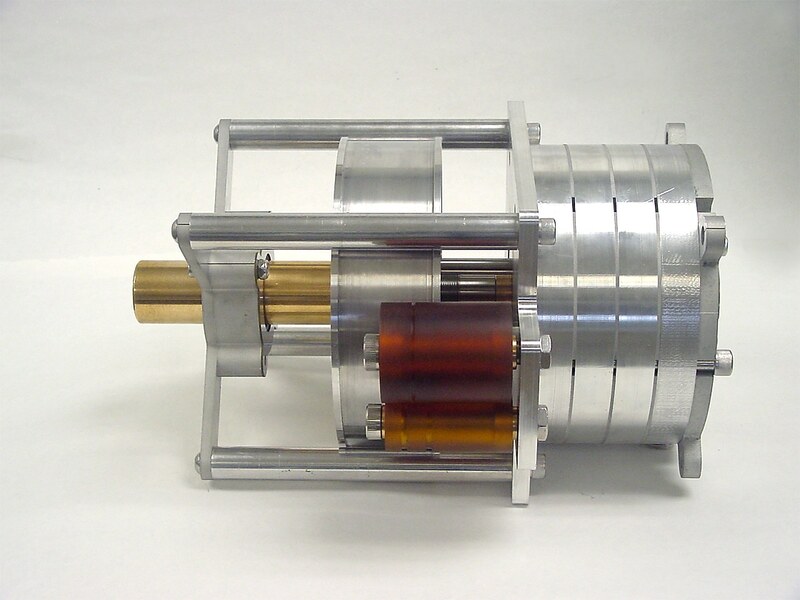 A patented self-locking cable connector installs into the gun-drilled rod and the flexible conduit screws into the existing sensor port (typically 18mm or #8 SAE O ring port), facilitating field replacement of rod-type sensors. The natural extension for CPI’s SL Series linear position sensors has always been to increase the sensing range. Enter the SL1300, which is capable of stroke lengths to 23 feet, utilizing the same SL Series non-contacting technology. 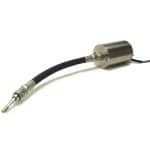 Beefed-up stainless steel construction, including a robust braided cable make this extensometer ideal for demanding applications where long life is required in a harsh environment. As with all SL Series position transducer sensors, high shock and vibration immunity come standard, and there is no core drilling of the piston rod in hydraulic cylinder sensors and applications. CPI SL Series linear position sensors can now be deployed in extremely harsh environments. Operating in temperatures up to 300F and pressures to 8,000 psi, these extreme sensors bring position sensing to applications where it was not previously possible. 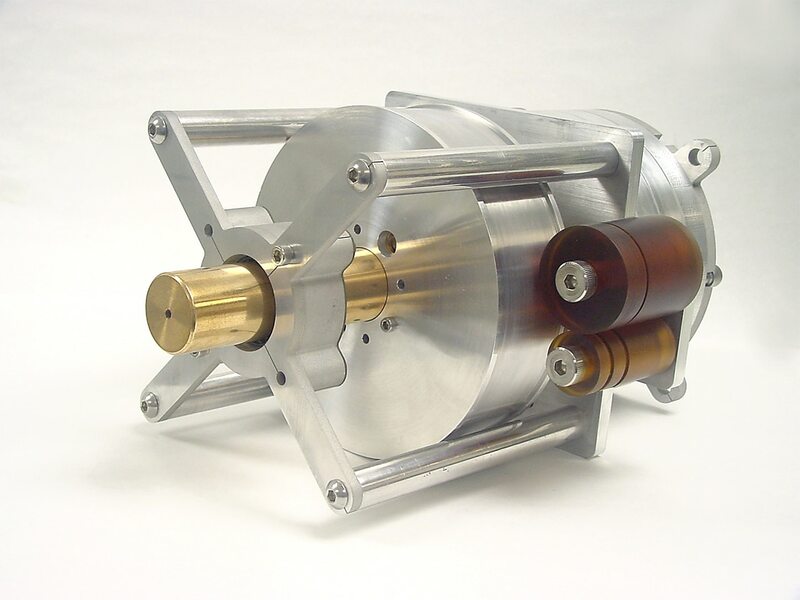 Comprised of stainless steel components and a proprietary combination of engineered materials allows for operation in a diverse variety of fluids / environments, including water-based hydraulic fluid. 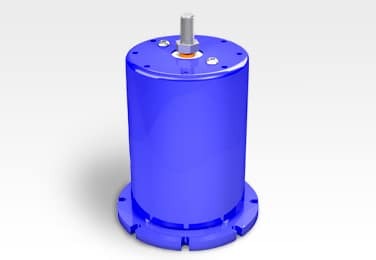 As with all SL Series linear displacement sensors, high shock and vibration immunity come standard, and there is no core drilling of the piston rod in hydraulic cylinder sensors and applications.